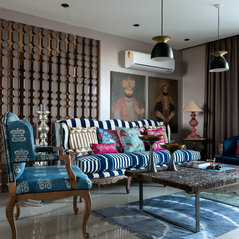 Shantanu Garg Design is a young and dynamic service for immaculate interior design and unique architectural concepts. Initiating the first project at the age of 21 years, the venture is helmed by Shantanu Garg, one of the youngest names in design whose work and vision is defined by innovation and individualism. Shantanu hails from a self carved architectural background with excellence in the field of design and honed expertise that is evident in each of his creations. Having designed nearly 80 – 85 projects in varied spheres such as High rise apartments, Retail, Corporate, Commercial, Hospitals, Offices, Hotels etc. for almost a decade, he is a firm advocate of transforming design into a concept that is idiosyncratic. 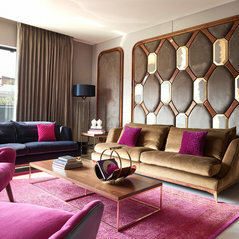 Made-to-measure transcends all boundaries today with bespoke spaces being a cultivated lifestyle. 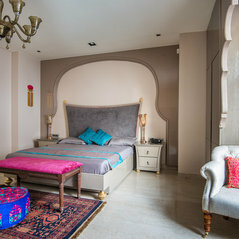 Bringing that to the fore, the projects envisioned and actualised by Shantanu Garg Design inhabit compositions derived largely from customisation. With the quest to create spaces that exuberate an amalgam of international design aesthetic and functionality whilst catering to the native demands, research forms an imperative part of the design process at Shantanu Garg Design. A rendition of transitional themes is carving a niche path for the design house with burgeoning demand to doll out projects with designs that seamlessly blend modern with the traditional. 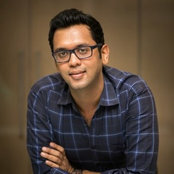 The confluence of cross over design is at the forefront of Shantanu Garg Design with curation & consultation of design projects in Italy and around the globe. 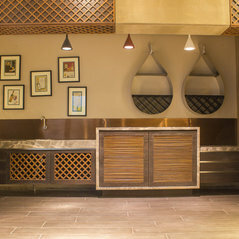 This is reflected in the repertoire of projects designed by the firm across the country spanning across Jaipur, Mumbai, Bangalore, Delhi, Gurgaon, Kolkata, Ajmer, Udaipur and more… Creating an ecosystem with turnkey services, Shantanu Garg Design is a conduit between the perfect architectural structure and blended interiors. 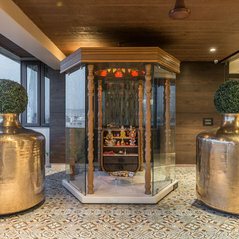 Actualising spaces for businessmen, doctors, jewellers, retailers, designers, builders, etc., Shantanu Garg Design is acknowledged for its custom-made luxury habitats. 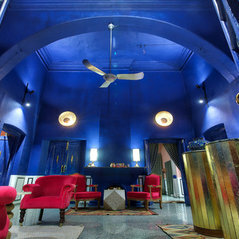 Having created projects nationally and internationally, this design house constantly aims at taking Indian design sensibilities globally and fusing international design trends in India. In essence, connoting spaces that reflect the dweller’s personality while keeping the inherent aesthetics of the designer alive in each project.